According to a research conducted by the AGD Impact in 2005, over 35 million persons suffer from eating disorder in America, and dentists are the first professionals who help to identify this ailment in its early beginning. An eating disorder refers to abnormal eating habits, injurious to your oral and overall health, and is a severe mental disturbance concerning your dietary choices. From a dental point of view, eating disorder brings about harmful effects on your oral hygiene such as tooth erosion, bad breath, mouth sores, sensitivity, tooth decay and so much more. Dentists play the key role in investigating the early signs of this harmful ailment and provide recommendations that can heal this condition. Therefore, Dr. Shervin Louie, a renowned dentist in Los Angeles, will tell us how crucial a dentist’s role can be in identifying eating disorder and how to get help if you are suffering from one in this narrative. There is another type not-so-common condition in eating disorder which is known as OSFED or Other Specified Feeding and Eating Disorder. Although, only rear cases appear of OSFED but that is the most dangerous of all of the common mentioned above because it involves some really weird eating habits. But nevertheless, may you be affected by any of these conditions, and because of ill food choices and over-limit dietary habits, all of these conditions can cause significant damage to your oral and dental hygiene. The best way for a cure is to identify the disease in its early stages and set about implementing treatments to get rid of them. 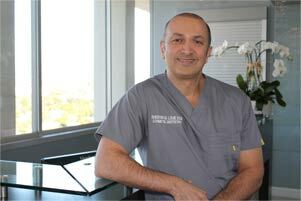 “Dentists are usually the first healthcare professionals who can detect the signs of eating disorder in a person, by judging the conditions that could happen inside their mouth,” says Dr. Shervin Louie, one of the top dentists in Los Angeles. When a professional dentist founds out that their patient is suffering from eating disorder of some kind, they may recommend them to a psychotic therapist or tell them home remedies to tackle the instant harmful effects on their oral hygiene done by such disease-related offshoots like purging. Purging is caused when a person is suffering from Bulimia Nervosa, causing stomach fluids to purge out of the mouth suddenly in the form of vomit. Purging is highly dangerous for your oral health because the stomach fluids contain harsh acids and constant purging can cause tooth decay, mouth infections, tooth erosion and other serious things. “To curb the sudden effects of purging, a person should at once rinse their mouth with a sugar-free mouth rinse or soda water to kill off the germs and soothe acidic effect on teeth,” advises Dr. Shervin Louie of Aesthetic and Implant Dentistry in Los Angeles. For those who lack any kind of rinsing liquid at the moment purging happened, they can simply succumb to thoroughly wash their mouth with water or brush your teeth instantly with a fluoride paste. This can be very helpful if eating disorder is just in its early stages because it can save your oral organs from a lot of harm. According to Dr. Shervin Louie’s experience of treating dental/oral conditions since decades, often times it happens when the disorder can only be diagnosed when it has done extreme damage to oral and overall bodily health. However, patients should not lose hope as the disorder can still be treated, but will require some in-depth measures to reverse the damage. The best thing, however, is to detect eating disorder earlier because only then a smooth and fast recovery can be ensured. One way to ensure your complete safety from eating disorder, as well as other major dental/oral illnesses, is to pay your dentist in Los Angeles a visit as often as you can (at least twice in 3 months). Dentists can be your ultimate help in finding the culprit developing in its early stages and can provide effective solutions for you to get rid of the harmful eating disorder.